Item # 260058 Stash Points: 1,295 (?) This is the number of points you get in The Zumiez Stash for purchasing this item. Stash points are redeemable for exclusive rewards only available to Zumiez Stash members. To redeem your points check out the rewards catalog on thestash.zumiez.com. 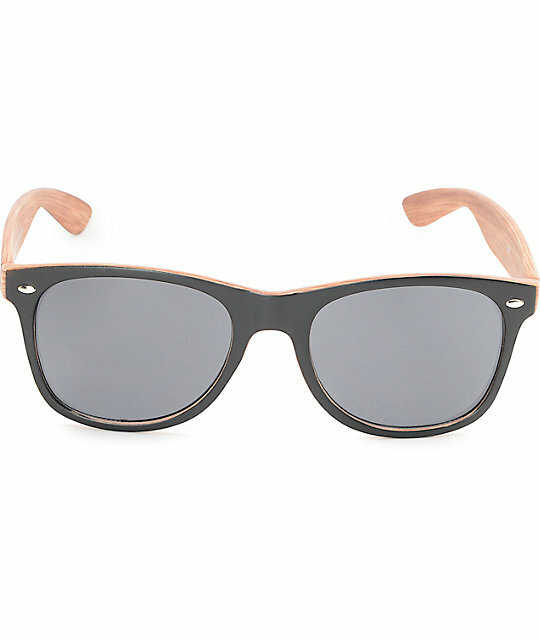 Keep your summer sun style modern and fashionable while sporting these matte black and wood sunglasses. 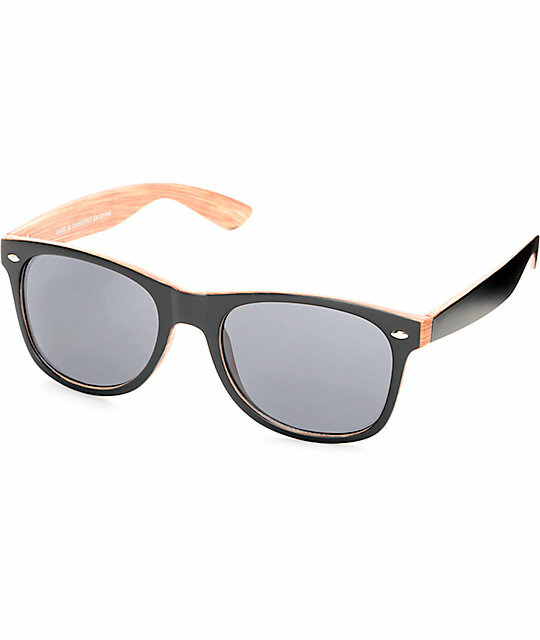 A wayfarer frame with the added design of bamboo looking wood on the interior will keep your style killing it any sunny day. Matte Black & Wood Interior Sunglasses.